80 recommendations showing an average Gain of +86.7% over an average of 2.5 years = 34.5% per annum. 51 recommendations showing an average Gain of +245.5% over an average of 7.5 years = 32.6% per annum. 18 recommendations showing an average Gain of +10.9% over an average of 3.1 years = 3.3% per annum. 202 recommendations showing an average Gain of +165.2% over an average of 5.1 years = 32.1% per annum. Sold ERG (+603% gain) at the peak of the Technology boom, and Flight Centre (+504%) to re-invest in under-valued shares. While this was NOT a good time to be buying - market weakens over the next few years - we earned good returns on these new shares. The portfolio gains +18.3% this year, helped by strong performances by Vision Systems, Toll Holdings and Renaissance. Michael Hill and Toll Holdings each become ten-baggers (i.e. up 10-fold in value). We continued to acquire under-valued shares - mainly of emerging growth companies and cyclical companies. Our portfolio rises +25.8% during 2001. Stockmarkets remain depressed. Central Equity and Thakral sold to fund three new holdings. There are many new opportunities . . . but we are waiting for the market to bottom out (and building up some cash from dividends) before buying aggressively - perhaps in 2003? Despite the depressed stockmarket, our portfolio still manages a small gain: up +9.2%. Stockmarkets continued to fall until March - then rallied strongly to produce an annual return of +38.0% for our shares. We sold some under-performing shares and cyclical issues to re-invest in under-valued, emerging growth companies such as out-of-favour Technology shares (i.e. Computershare, Technology One). We continue to sell cyclical shares for good gains and re-invest in high growth potential companies - one of which, Melbourne IT, becomes another big winner for our portfolio. 2004 was another very successful year with the portfolio gaining +36.7%. Health Communications is taken over for a 75% gain (over just 15 months) and we realise profits on some fully valued holdings - OAMPS (+288% over less than 4 years), Villa World (+213% over less than 3 years) and Aust Infrastructure Fund (+65% over 17 months). We invest in Citect, which is taken over 8 months later for a short term gain. Overall, however, the portfolio increases just +3.8% during 2005. While not all of our shares are successful, The Reject Shop appreciates strongly. It is these big winners that lift our long term investment returns. We realise a 23-fold gain on Toll Holdings (over just 7½ years), Vision Systems is taken over for just under a 7½-fold gain (over 8 years) and we realise a better than 3-fold gain on UXC (after almost 7 years)! We also quit Richina Pacific, a long term under-performer. The portfolio gains +33.3%. Founder James Cornell (and his not insignificant investment portfolio) "retires" to tropical tax haven - free of double taxation of Australian dividends and "fair dividend" taxes!!! Over the next 10 years, M2 Group will increase almost 47-fold in value! We find it difficult to find good values, so make only one Buy recommendation in 2007, but TFS Corporation finishes the year up +175%. The portfolio appreciates +11.4% for the year, despite market weakness in the second half. As the market weakens we see good value and start buying high quality growth shares at good valuations. Although prices continue to fall during the year, 2008 will become an important buying opportunity and yield significant gains over the longer term. We help fund these new holdings by selling Centennial Coal (up 846% over 7 years) and Computershare (up 411% over 5 years) and some other shares. Overall our Recommended Portfolio was down -32.0% over 2008. Shares continue to fall until March 2009 - then rallies strongly. Taylors Group and International All Sports are taken over. Overall our portfolio recovers 49.4% - to a high all time high!! * Recommendation Prices Adjusted for Splits, Bonus and Cash Issues. 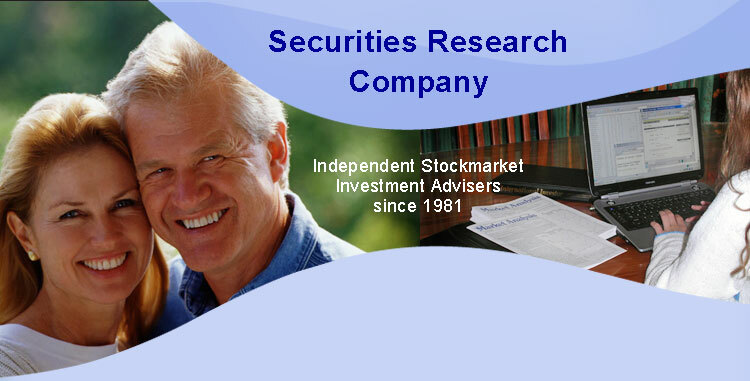 © 1997-2018 Securities Research Company Limited.